In 2019, more than 50 nonprofits applied for the first annual Philanthropitch in Columbus, Ohio. 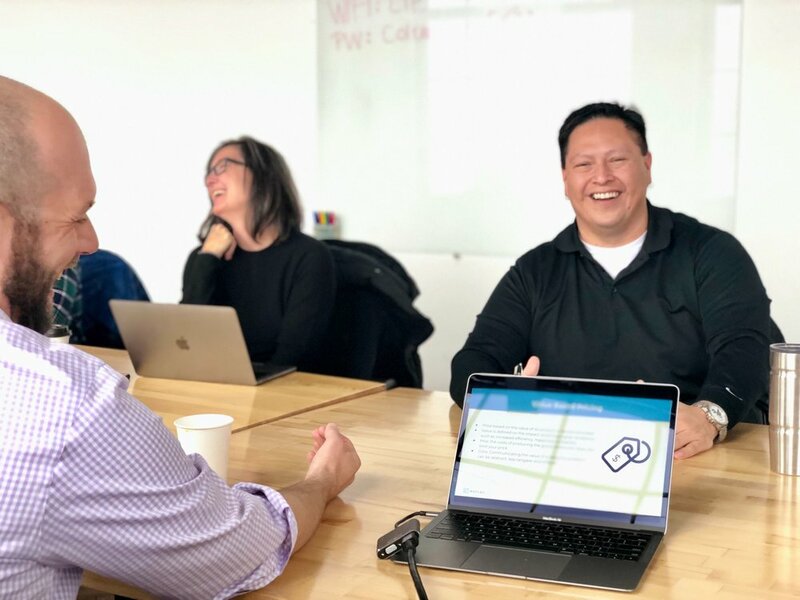 Philanthropitch applicants have access to rigorous training courses leading up to the event including mentorship and workshop time with our executive team. 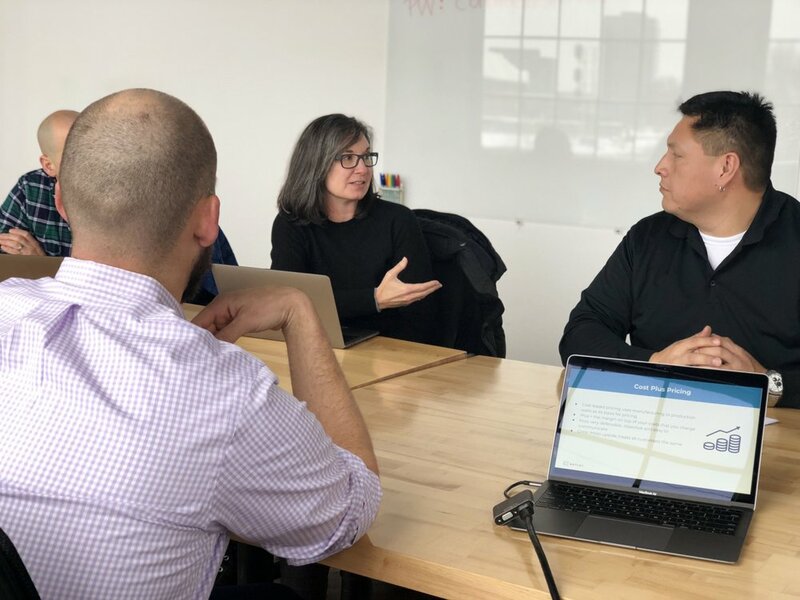 In anticipation of the event, Alicia Weigel, Director of Business Development at Notley, traveled to Columbus with our co-founder, Matt McDonnell, to work with our semi-finalists and finalist organizations. While there, she interviewed Andrew Oocumma about his game-changing work with Welcoming City. ﻿Alicia: What does Welcoming City do? Andrew: Our mission is to provide access and opportunity for all residents through economic, cultural and community integration, where everyone is accepted and respected. We do this by preparing mostly foreign born individuals to find jobs that support themselves and their families.Through our Social Enterprise Mission, we work with employers to find qualified candidates for open positions in a variety of industries. What inspired you to work in this area? I have had many careers but found that the biggest reward comes from working with disenfranchised individuals and communities, much like the community I grew up in. Growing up at the boundary of a Native American Reservation, I witnessed and experienced false stereotypes, distrust and open discrimination. Having seen that here in Columbus too, I feel rewarded that I can play a part in helping to alleviate what holds someone back from reaching their potential—especially when factors like race, religion and so on are at play. Are there aspects of your past and identity that led you into this career? First and foremost, Native tribes are very communal; our focus is family, friends and community. With trust and care among these, everyone is safe. In a country where everyone is trying to get ahead, it is hard for individuals with barriers to move up the ladder even a little. I had to be very entrepreneurial as a young kid. I sold fish I caught to total strangers alongside a remote river. Disenfranchised individuals just need a chance like I was given to prove myself in a more professional setting. I managed a museum, ran sales for a publicly traded gaming company, and managed a bank for a major financial institution. Later I was the interim Dean of a major community college in northeast Ohio. These opportunities were because I was given a chance by a non-native, who looked past my “rugged” Native exterior and gave me the opportunity to prove myself. What has your experience been living as a Native person in the US today and how has it affected your life trajectory? There are people that have expressed surprise that there is a significant number of Natives in the US. One OSU student even once said to me, “You’re Indian? I thought the United States won.” Yes, this was in the last decade—and yes, she was white. I have also heard the misconception that that “all those bad things happened so long ago.” There are bad things happening now...to the LGBTQ community, African Americans, refugees, asylum seekers, I could go on. The romanticism of Natives—like that we have some mystical powers. Oh, and we don’t all live in tipis! The Cherokee tribe and most tribes never have. Tipis were almost exclusive to the Plains Tribes. How has your identity shaped your professional experience? How does Native culture fit (or not fit) in today's corporate culture? Being Native has been beneficial from a diversity of experience point of view. When people ask about my last name, it creates a good dialogue. I also get some sympathy because of America’s ugly past. My culture has meant that I’m counted as “inclusion” in most cases, almost always in a token way, but at least I determine how I can use this “super power” for good. My story helps put things into perspective and people I connect with understand that not all Americans are treated fairly. I see similarities between my experience and the experiences of the clients I serve through Welcoming City. One, the obvious difference in ethnicity can mentally feel like an Achilles heel for our clients. Two, we all have to overcome stereotypes—and for foreign born individuals, there are additional challenges such as a language, accessing transportation, lack of education or insufficient child care, just to name a few. How do your life experiences and identity inform how you perform your work? I feel like I need to work harder and be more informed than others. There are no automatic passes for a minority – just a reality that a non-minority may not ever gain an understanding of, unless they move to another country or some similar event. Can you share an experience that exemplifies why you do what you do? Soon after, he got a job as a Production Associate with a paint manufacturer in town. After a time, he was promoted to a kettle operator making much more money. Why do you find the work you do necessary? Opportunity. Everyone needs an opportunity—and I’m proud that I can help provide that through this organization.